JNN 26 June 2014 Manama : A court in Manama on Wednesday acquitted prominent Bahraini opposition figure Khalil al-Marzouq on charges of inciting terrorism, a judicial source said. Marzouq, a former MP for the main opposition political party Al-Wefaq, was arrested on September 17. He has been out on bail since his trial began on October 24 but prohibited from travelling abroad. Marzouq was one of a number of opposition figures and activists detained since majority Bahraini people led mass protests in 2011 demanding a greater role in running the island kingdom. “My innocence was inevitable from day one,” he told reporters outside the court after the verdict, according to Reuters. “The political process has to develop and become effective for us to lead Bahrain to the shores of safety through negotiations and a comprehensive process that serves the interests of all the citizens of Bahrain,” he said. Al-Wefaq, which says it advocates non-violent activism, boycotted reconciliation talks with the government after Marzouq’s arrest in September. Protests and clashes continue almost daily in the country that hosts the U.S. Navy’s Fifth Fleet and is seen in the West as a key regional ally. A member of Marzouq’s defense team said that the court had acquitted him Wednesday on charges of inciting terrorism in a number of speeches and had removed a travel ban on him. A tweet by Bahrain’s public prosecutor’s office said that it would study the court’s ruling and make a decision whether there were legal grounds for an appeal. Campaign group Human Rights First welcomed the ruling on Marzouq, political secretary to the party’s leader, but said that the government needed to do more. “Marzouq needs to be out of jail to be part of a negotiated settlement to Bahrain’s crisis. But so do other political leaders still in prison. 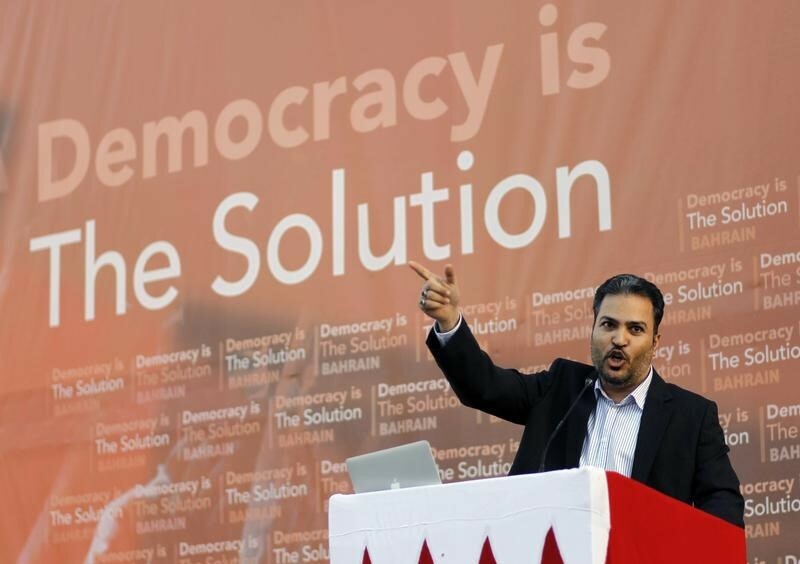 If real dialogue is ever to begin it will have to include opposition figures beyond Al-Wefaq,” the group’s Brian Dooley said in an emailed statement. The opposition has accused the government led by the Al-Khalifa dynasty of discriminating against Shias and is demanding a constitutional monarchy with a government chosen from within a democratically-elected parliament. This entry was posted in Middle East and tagged Bahrain, Bahraini opposition figure, Bahrian Opposition Leader, Khalil Al Marzouq, opposition figures. Bookmark the permalink.